Fattitaliani.it: EU Embassies' Open House: porte aperte sabato 12 maggio con il balletto "First"
EU Embassies' Open House: porte aperte sabato 12 maggio con il balletto "First"
On May 12, 2018 the European Union Embassies and the EU Delegation to the United States open their doors to the public for the annual EU Embassies' Open House: a day of family fun, culture, food and more. The event offers visitors a rare look inside the embassies and provides a unique opportunity for them to experience the cultural heritage and national traditions of the 28 member countries. The highlight of this year's Open House at the Embassy of Italy will be FIRSTS, a dance performance by the Trainees and PTP from The Washington Ballet and The Washington School of Ballet, directed by Italian choreographer Mimmo Miccolis. 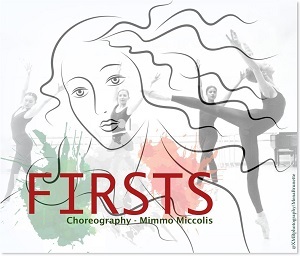 FIRSTS is Mimmo Miccolis’ newest work dedicated to all the women who changed Italian history and became famous in the world. Visitors will also be able to experience Italian fashion, design, innovation, culture, arts, food and more. Come and discover Italy, the extraordinary commonplace, at the heart of Europe and the Mediterranean!